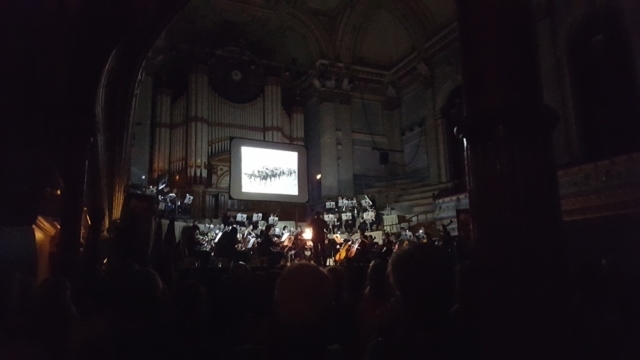 This was filmed and projected on the screen in Huddersfield Town Hall as the audience entered. 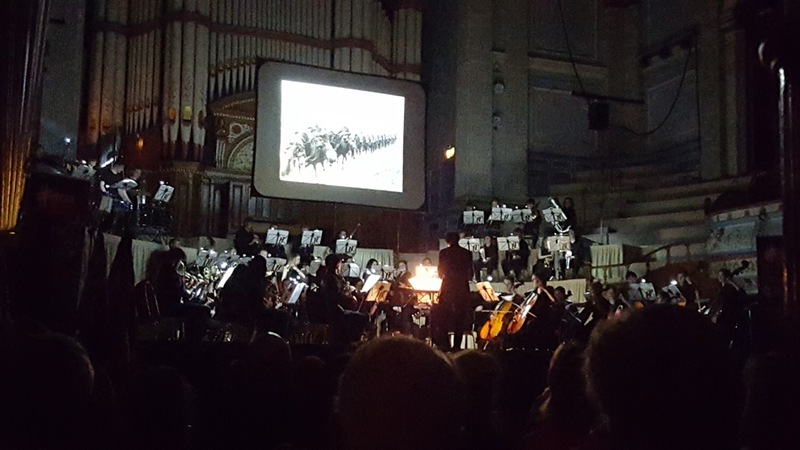 They also made a slide show of the orchestra’s own connections to the Somme battle and other local audience connections (following a call-out for stories in the local paper). This was projected at the start of the concert while the orchestra performed Barber’s Adagio for Strings which was very moving and fitting start to the concert. On behalf of MYO I would like to thank you for joining us this evening. 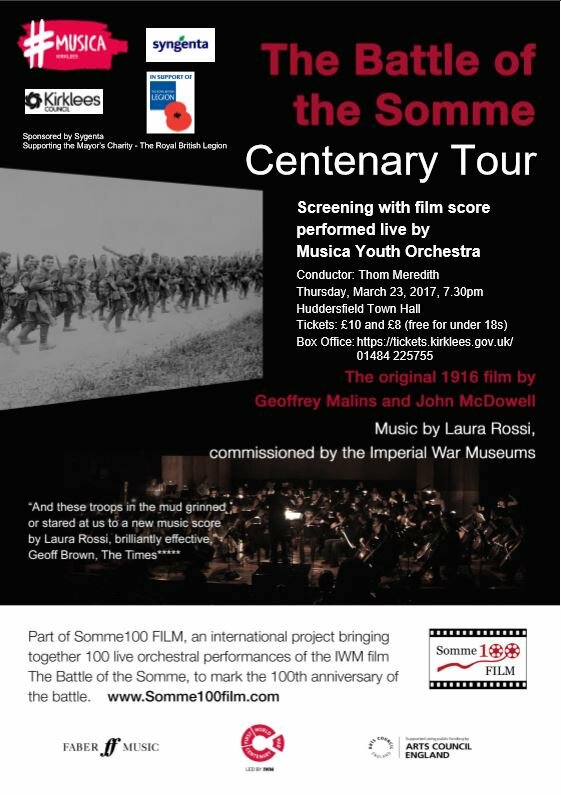 MYO is honoured to be part of the Somme100 FILM project. We are always keen to widen our involvement beyond the traditional orchestral works and performances that lie at the core of our events programme. 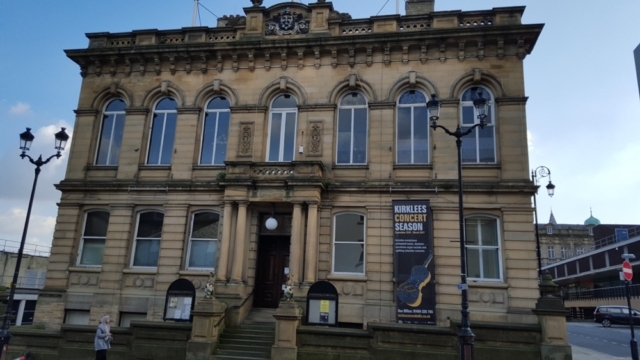 We are also delighted that we are able to support the excellent work that our Mayor, Cllr Jim Dodds, has done to promote and support the work of the Royal British Legion. 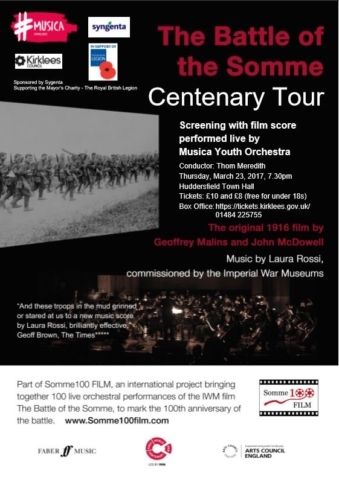 Somme100 FILM has enabled us to explore the process of writing a film score through workshops and composition projects; we’ve also been looking into the history of the film and the battle. 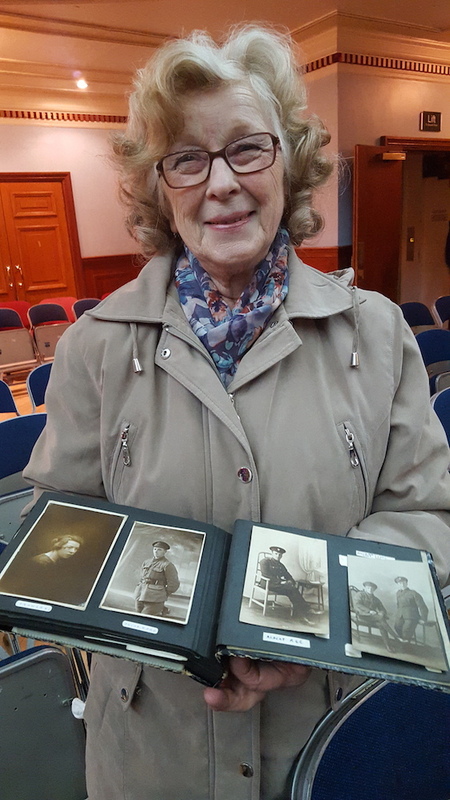 Members of MYO and their families have been sharing their own personal links with the Somme campaign and some of their photos and stories will be on display this evening. 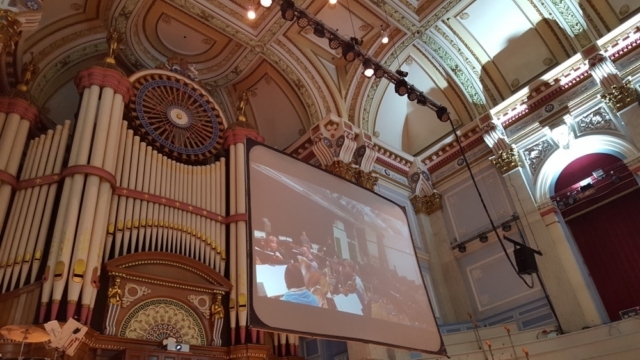 Many of the faces looking out at us from the cinema screen this evening are teenagers; many of them are the same age or even younger than our musicians. 100 years may have passed since the footage was taken but through Laura Rossi’s score we are able to feel a little closer to the soldiers we see before us. I am proud of the way in which the orchestra has responded to the challenges and issues raised in the film and the accompanying score and I am very grateful to each one of them for the hard work and maturity they have shown throughout our involvement in this project. A plea has gone out to find people who are direct descendants of soldiers who fought on the Somme. 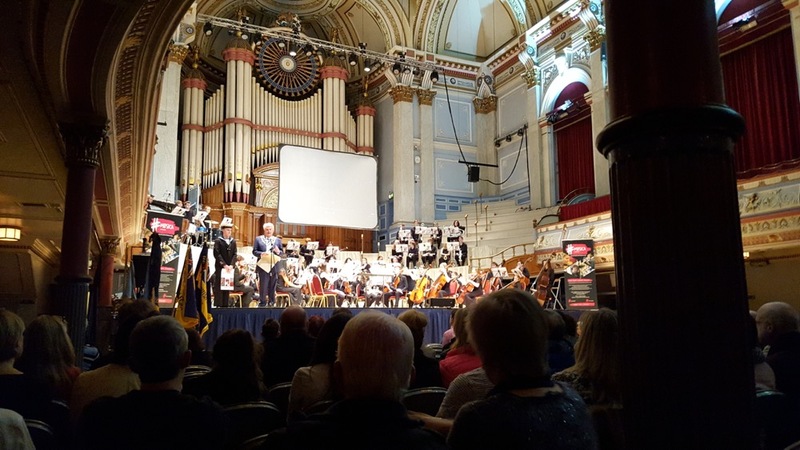 On Thursday, March 23, the 1916 film The Battle of the Somme will be screened at Huddersfield Town Hall accompanied by a live orchestral soundtrack performed by the Musica Youth Orchestra. 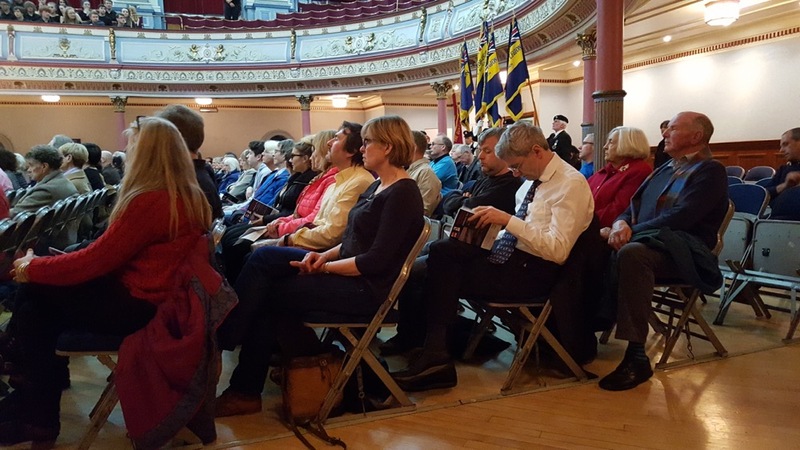 Now organisers want to pay tribute to local men who fought in the battle – and dozens lost their lives. 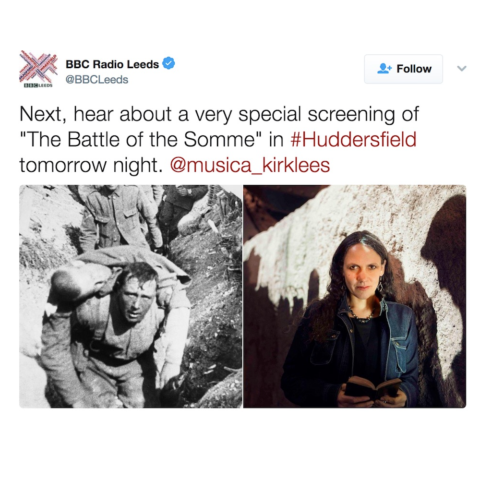 Nick Dolling, Assistant Principal Musica Kirklees, said: “We are also researching local people who are direct descendants of soldiers who fought in the Battle of the Somme prior to the film showing. We are hoping to have a continuous power point with photos and details of the soldiers to help bring a local link to the event. “The film received several showings back in 1916 at The Empire, The Picture House and Birkby Palladium. 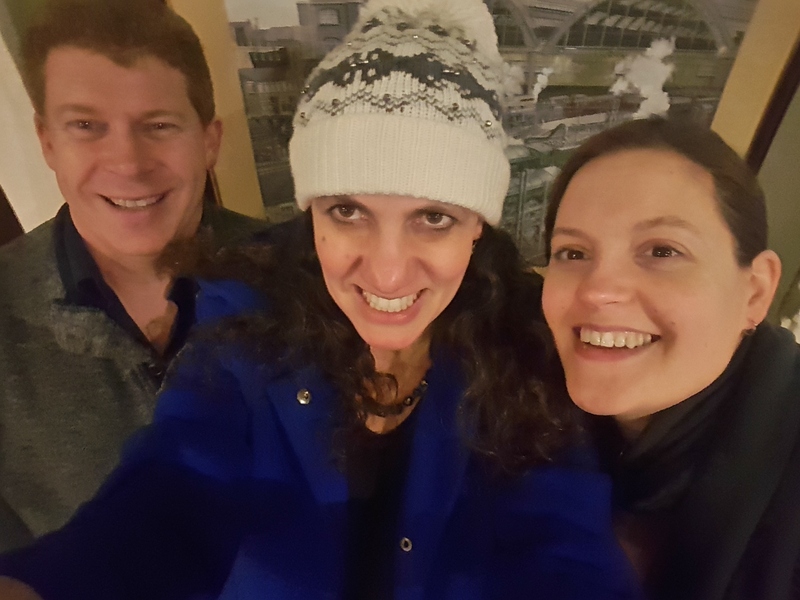 Laura Rossi, lecturer in Music in Film at the London Film Academy and the composer commissioned to write the orchestral score, will talk the audience as a prelude to the screening. There will also be an introductory talk by Dr Toby Haggith, senior curator at the Imperial War Museums and composer Laura Rossi. At every screening we attended audience members wanted to come and speak to IWM curator Toby Haggith and me about their own connections with the battle, and many brought along photos and mementos to show us. 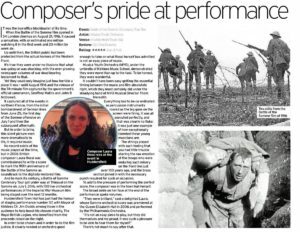 This really says a lot about how much these performances mean to people and how much people still feel connected to the Somme battle. It also shows how for so many these performances were a commemorative event. Here is Mrs J Ware from Huddersfield talking about her father who fought in the Somme battle. She’d brought along her photo album to show us.